Yogyakarta, Wednesday, October 24th 2018, Master of Science and Doctoral Program, Faculty of Economics and Business, Gadjah Mada University (MD FEB-UGM) holds a public lecture on the theme: Fiat Money vs. Virtual Money and Its Effects on Monetary Stability and Financial Stability. The public lecture was delivered by Prof. Insukindro, Ph.D., who is a Lecturer in Economics, Faculty of Economics and Business UGM. 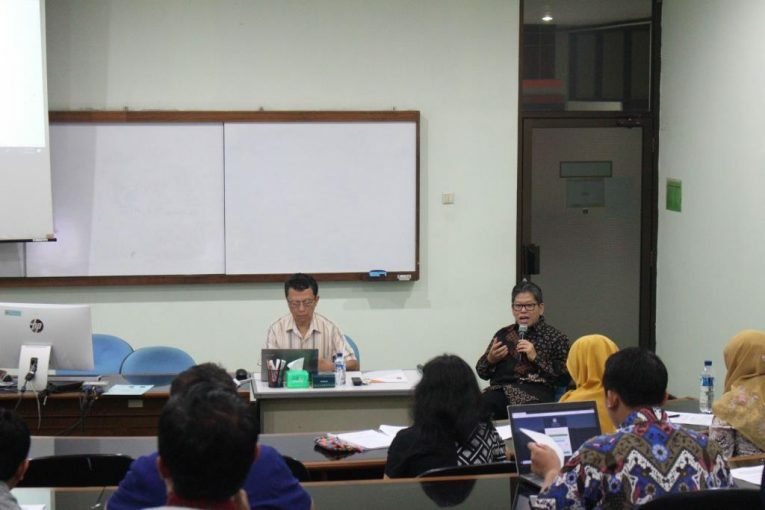 The public lecture took place in Bakrie Room, 2nd Floor, the MD Building of FEB UGM was opened by Prof. Dr Catur Sugiyanto as Director of the Economics Program. As an introduction, Prof. Insukindro, PhD in college generally said that digital-based economics is a digitalisation of information and communication technology infrastructure in the economic field. The concept of digital-based economics is often seen as feasible to explain the influence of communication technology infrastructure or the interaction between the development of innovation and technological advances on micro and macroeconomics. One form of digital economy in Indonesia is BI-RTGS (BI-Real Time Gross Settlement) which is an electronic transfer system between participants in rupiah and the settlement is done in real time. The typology that distinguishes between fiat money and digital/virtual money is in several ways. Fiat money has an institution/authority, centralization, varied forms and not on behalf of, can be reached globally but needs to be converted for use in certain countries, and their use can be from individuals to individuals or electronically. Digital / virtual money does not have a financial institution/authority, is centralized or decentralized, its form varies not on behalf of (for example bitcoin), can reach globally but cannot be widely used or accepted such as fiat money, and its use from individuals to individuals and electronics (bitcoin, e-gold exchange).